As a floral designer, you want people to value what you do; your time, your art, your expertise, and your unique, quality blooms!….all these elements come together to create your own unique brand, and that’s what brings value to your clients. If you want clients to value your work, you do have to provide a quality product, however, there’s a bit more to it in my opinion. 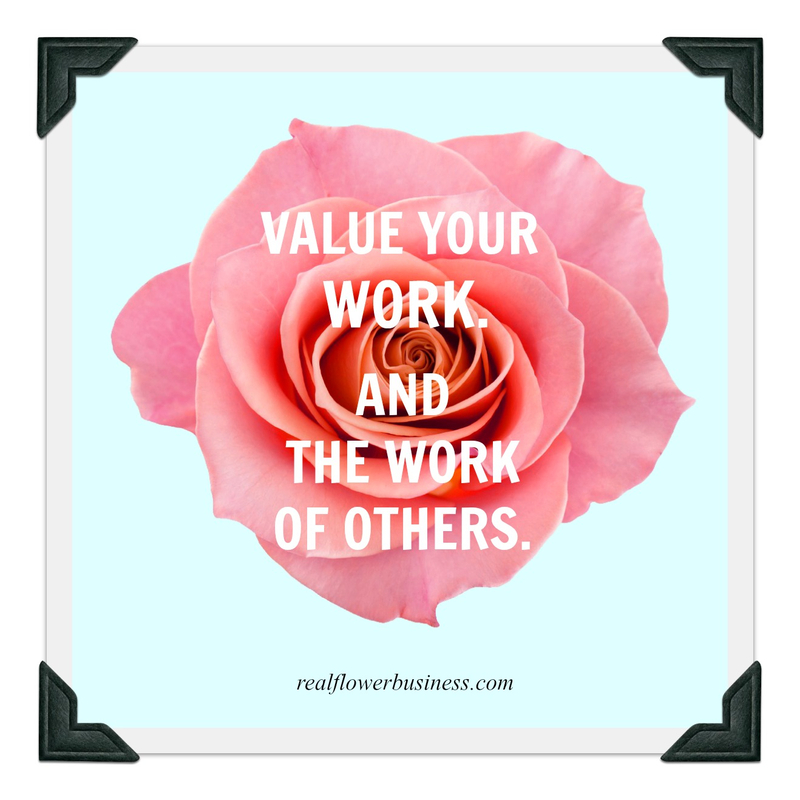 If you want others to value your time and your work, you must in turn value the work of OTHER creatives, including their time, art and expertise. It’s much easier to “increase your value” in a genuine way if you walk the walk in your own life as well. If you’re someone who feels like everyone else is “too expensive” or “not worth THAT MUCH”, then it can be a challenge to demand that clients value what YOU do. Finding value in others should come with ease if you aim to be the owner of a brand with integrity. What are you willing to pay more for? What feels “worth it” to you? What are you willing to invest in? For business? For pleasure? What artisan/creative/specialty product are you eager to pay for? Who do you tip more than 20%? Who (or what brand) sets a price that you do not question? Your ideal clients feel the exact same way about you/your business as you feel about the products & services you value and are willing to pay for. Clients must experience value from your brand. And a good brand recognizes the value in others’ work as well. It’s just good for business to acknowledge the importance of other businesses. Education or workshops that help better my business! When you “spend easily”, you’re an ideal client for the business you’re buying from! What can you do to make your clients feel your value and, as a result, “spend easily” with you? How to tell someone you can no longer “hold their date”. How to present a proposal that’s over budget. How to ask someone why they did NOT book with you. How to tell someone you’re not a good fit for their event. How to reply to a complaint. How to bill for damaged or missing rental items after an event. How to explain you won’t order flowers until full payment is received. How to tell someone that their most recent changes/additions will result in a price increase. How to tell someone you will not update their proposal (again) or meet (again) without a deposit. How to respond when a wedding is cancelled. Plus a free bonus: How to Ask For A Testimonial. 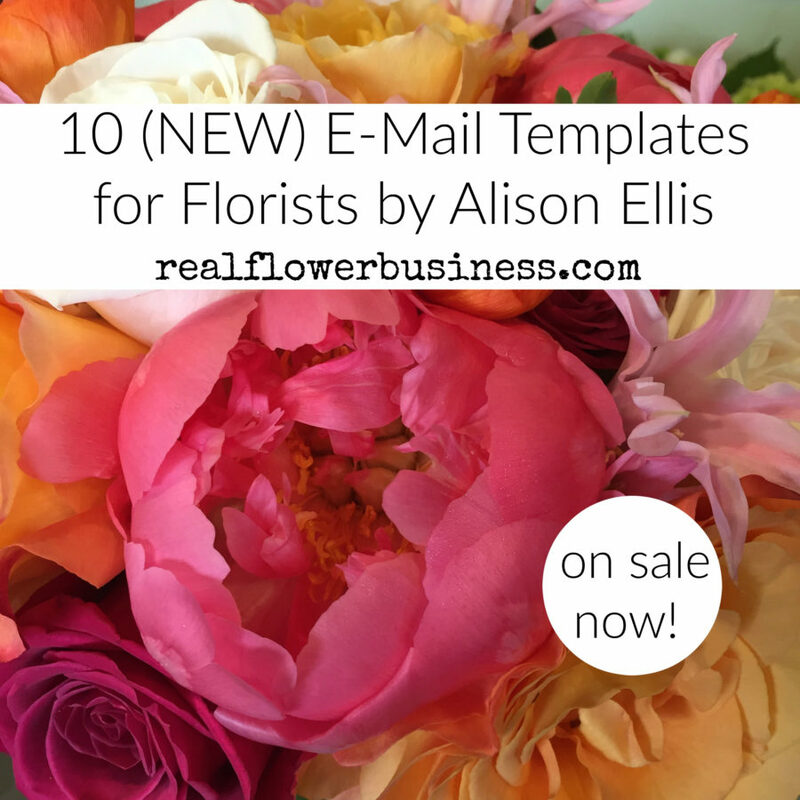 Learn more about my templates HERE!